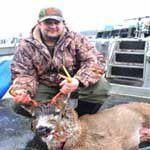 Offering the most reliable service and best priced hunter transport for hunters in Prince William Sound Alaska for spring black bear, fall black bear, fall and winter Sitka black tailed deer, fall mountain goat and duck hunting. 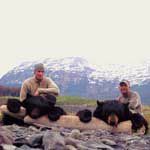 We cater to Alaskans, the US military and independent travelers and hunters. 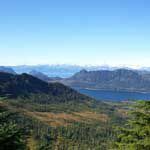 We are licensed to transport you to the rental cabins and are licensed with the State of Alaska to transport you and your game (#928). As avid hunters ourselves in this area since 1986, we are experienced with the terrain and can help you plan your hunt. We offer a simple and affordable way to hunt the sound. We also offer fully inclusive hunting packages that include round trip transport from Whittier Boat Harbor to our base camp vessel, lodging on our vessel, meals and daily transport from the base camp to the hunting grounds. 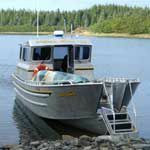 In addition we offer base camp lodging for hunters with their own boats in Prince William Sound.